Offering unique environments that increase productivity & innovation, our private offices and shared open desks give you secure spaces for full autonomy within a single location, with printing, mail and package handling wrapped in. And pair that with unparalleled hospitality and communication services, Bureau Gravity is an innovation hub that fuels, facilitates and nurtures breakthroughs, every day. At Bureau Gravity, you can take care of business all day, every day and still benefit from connecting with other professionals, entrepreneurs, thought-leaders and innovators from multiple service sectors and industries. Call it an “information economy ecosystem,” if you like. Or maybe “a country club of cutting-edge knowledge workers.” We are a diverse group of engineers, city developers, entrepreneurs and thought-leaders – all in one space, feeding off a collective energy and sense of belonging. We’re stronger and more powerful together. There’s no networking quite like the organic conversations that happen when companies work with us. To us, business is community. We exist to facilitate, beautify and empower business development passions, peer-to-peer idea sharing and innovation that thrives in our rapidly evolving information economy. Growing businesses need a lot of support. And it usually requires a hefty price tag. 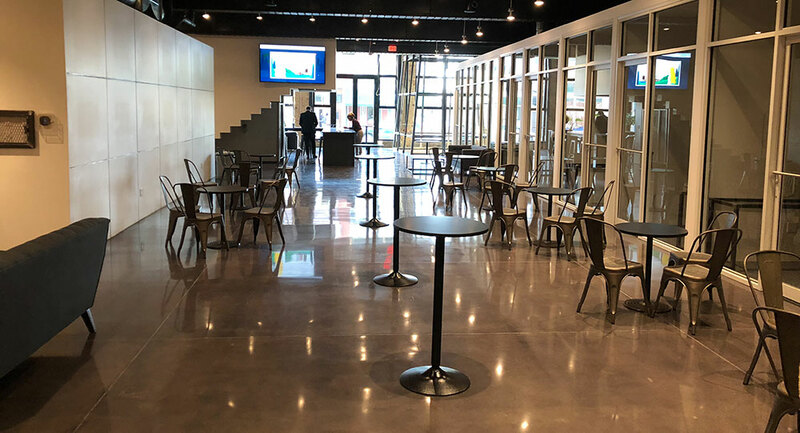 Bureau Gravity provides business development consulting, media & communications support & hospitality management at a fraction of what it might cost to build a team and facility like this for yourself. Enclosed, lockable offices for up to three people. Move-in ready, with desks and chairs. Perfect for startups, freelancers, consultants and remote workers. Get access to premium amenities like private conference rooms and meeting spaces with a guaranteed spot to plug-in and get to work. In our adjacent building space, we’ll partner with you to design, build and manage a tailor-made layout that can accommodate teams from 1-50+ employees. Temporary master key. Dynamic keycard in near future. Conference room utilization, business phone, additional desk/office accessories, IT/technical support, hospitality services including catering, communications & marketing support, live streaming capabilities and priority access to event space. Enclosed, lockable offices for up to three people. Move-in ready, with desks and chairs. Perfect for startups, freelancers, consultants and remote workers. Get access to premium amenities like private conference rooms and meeting spaces with a guaranteed spot to plug-in and get to work. In our adjacent building space, we’ll partner with you to design, build and manage a tailor-made layout that can accommodate teams from 1-50+ employees. What Type of Workspace Are You Interested In? 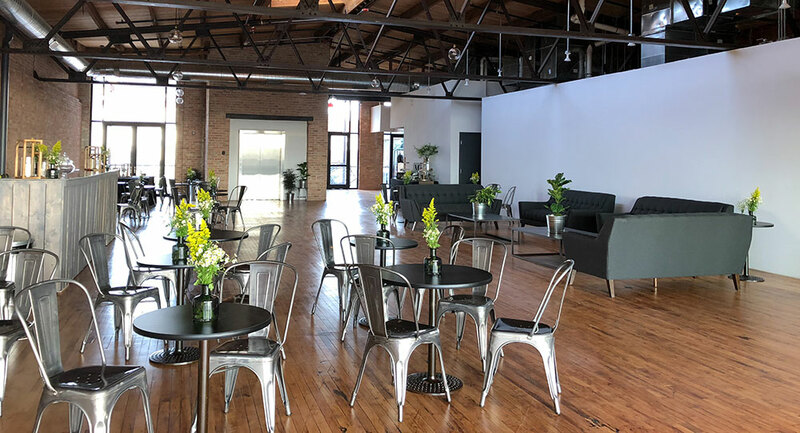 Give your guests the ultimate experience and take your event to the next level with Bureau Gravity’s event space and full-service event management capabilities. We’ve been telling stories for more than 15 years. Now, with our state-of-the-art facility, we are your creative partner for memorable brand-building live event experiences. Complete with broadcast capabilities that range from global events to private presentations, collaborative meeting and versatile event spaces, a French Industrial themed event space that rivals the hippest buildings in any city in the world, a daytime coffee shop and evening lounge, and our dynamic collection of artistic talent and specialized services allows you to confidently put vision into our hands to inspire and captivate your guests. From initial strategy to experiential design, detailed logistics to technology, hospitality to media production – and every detail in between – we bring events to life.